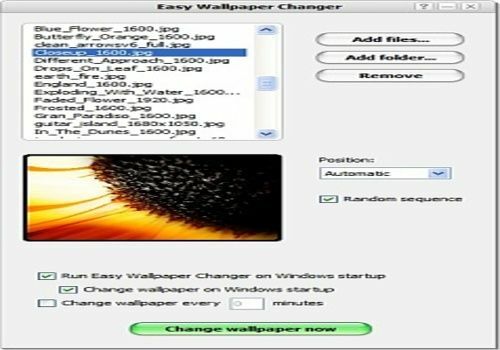 Easy Wallpaper Changer allows you to install and change wallpaper quickly and easily. This tiny program in a system tray lets you change the wallpaper in a couple of clicks. Wallpaper change may be performed automatically by timer or manually, in course or randomly. Easy Wallpaper Changer is easily adaptable and has a simple and clear interface.